Please visit The Fire Agate Store for your fire agate shopping needs. 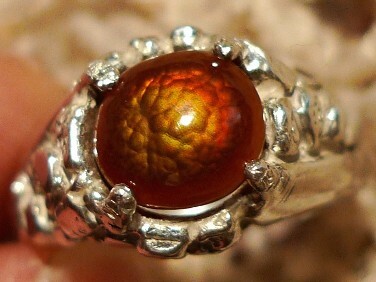 This mens Sterling Silver Fire Agate ring is a size 10 and has a colorful Deer Creek Arizona Fire Agate gemstone. The round gem measures 7 x 7 mm and has green, orange and red color display. The ring is in good condition, is stamped '925' and weighs 7.2 grams. 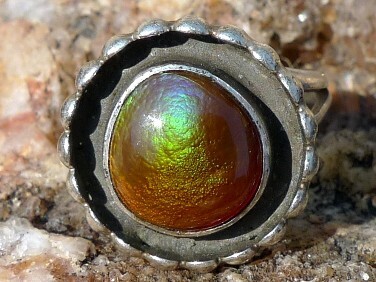 This lovely vintage Sterling Silver Fire Agate gemstone ring is a size 6.5 and has a very colorful pinfire bubble Deer Creek fire agate gemstone that displays full rainbow colors (including some nice blue/purple hues). The gemstone measures approx. 9 x 10 mm. 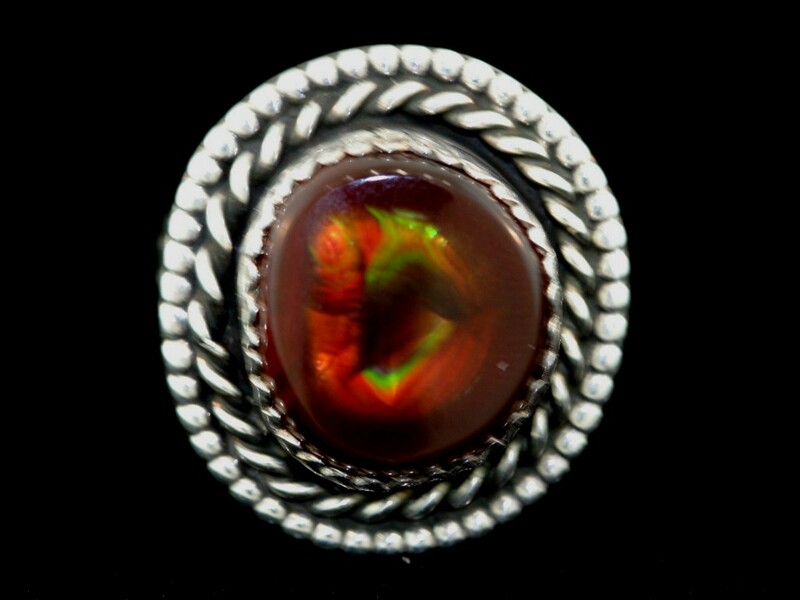 This Sterling Silver Fire Agate gemstone ring is a size 10 and has a bright multi-colored fire agate gemstone that measures approx. 13 mm x 12 mm across the face of the gem. This ring, which measures 22 mm x 20 mm across the surface, is unmarked and has a total weight of 7.8 grams.